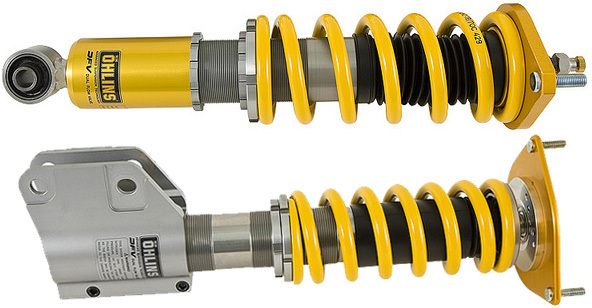 The Ohlins Road & Track Coilovers upgrades the suspension of the Subaru STI with race-proven technology. 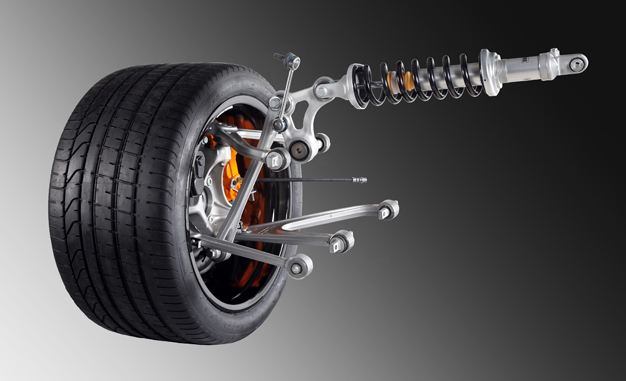 Upgrade the suspension of the Subaru STI with a suspension system that can keep up with its high-performance demands. The Ohlins Road & Track Coilovers for Subaru STI has race-proven technology that will significantly improve the STI's handling, braking, and acceleration. With the Ohlins Road & Track Coilovers, you have complete, 100% control over the ride height and damping of your suspension so you can dial in your Subaru STI for track events or daily driving. The Ohlins Road & Track Coilovers are lightweight, corrosion resistant, and fully rebuildable with a two-year limited warranty. Since 1976, Ohlins Suspension has been supplying high-performance suspension parts to many motorsports teams around the world. Ohlins Suspension is highly involved with teams in various motorsports such as Touring Cars, WRC, and The Indy 500. With the help of Ohlins Suspension products, these motorsports teams have won over 200 World Titles with thousands of finishes at the podium. Now you have the chance to bring Ohlins' race-proven technology to your vehicle with the Ohlins Road & Track Coilovers for the best performance suspension for use on the track or the streets.